Although there is an icy chill in the air, the sweltering heat we all know and love will be back before we know it. 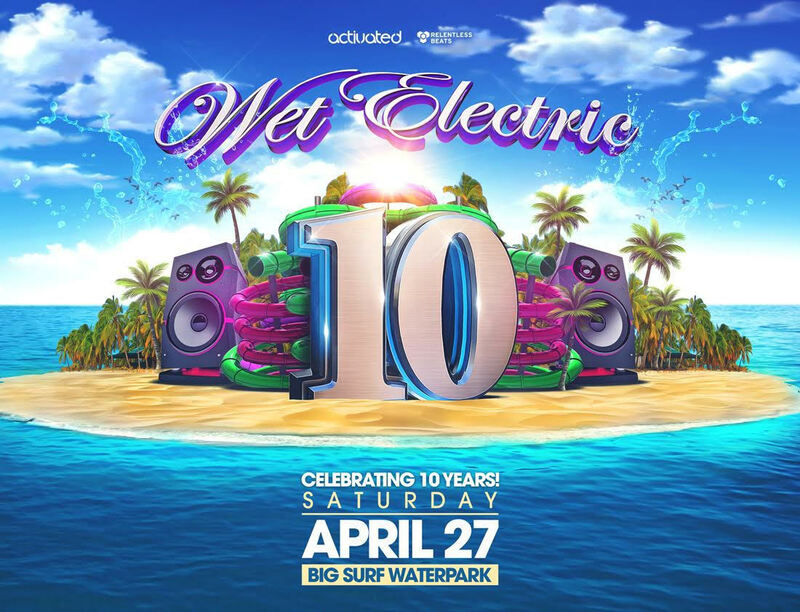 Arizona knows exactly how to launch the summery season, and that’s by attending Wet Electric. The country’s largest waterpark music festival is back. 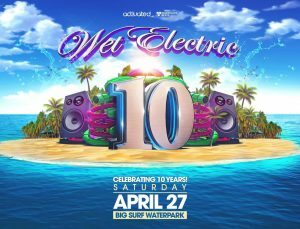 Wet Electric will be hosting it’s 10th anniversary at Big Surf Waterpark in Tempe, Arizona on April 27th will be everything you wanted and more. The 18+ event features renowned DJ’s, a 2.5 million gallon wave pool which is the largest in the country, waterslides, luxury cabanas, bars, and much more. This experience will combine the innocence and thrill of a waterpark with the adventure of a rave and bring you one truly unforgettable night. Wet Electric is produced by Activated Events and Relentless Beats. Click here for more information regarding the event. Lineup will be announced soon. You can purchase tickets by clicking on this link.